After announcing the HTC Desire 820 at the recent IFA 2014, HTC has now launched the smartphone in India. HTC has announced the launch of the HTC Desire 820 in India. The handset, which is the company’s latest phablet, is powered by a 64 bit processor and is available in octa core and quad core variants. The device has a 5.5 inch display with resolution of 1280 x 720 pixels. The HTC Desire 820 is powered by the octa core Snapdragon 615 processor clocked at 1.5 GHz along with 2 GB of RAM and 16 GB of internal storage. The quad core version called the HTC Desire 820q, is powered by the Snapdragon 410 processor clocked at 1.2 GHz and comes with just 1 GB of RAM. 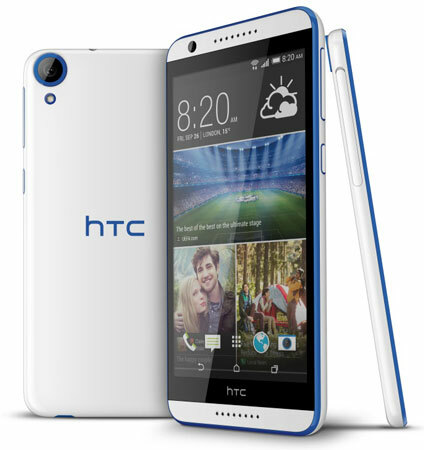 The HTC Desire 820 has a massive 13 MP rear facing auto focus camera with a BSI sensor, f/2.2 aperture and LED flash. There is also a front facing 8 MP camera. The device runs on the latest Android KitKat version with the HTC Sense 6 UI. The handset would go on sale in November and the pricing would be revealed at the time of the release.